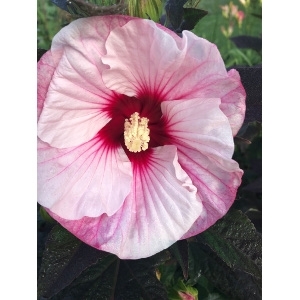 Hardy Hibiscus for your Perennial Garden! People are always amazed that we have a Hardy Hibiscus that will come back year after year and is hardy for South Dakota. Giant tropical type flowers bloom in August and September, filling in those bare spots in the late summer garden. Give these plenty of water and you will be rewarded with literally 100's of blooms from one plant!